[Review] Such a delicious variety of cakes! Delicious cakes! They have a very large variety and everything is so good. We used them for a work retirement party and other events, and have always been satisfied with the results. [Review] The cakes were delicious and moist! Flavors and cakes were delicious and moist respectively. I would suggest Patty’s for any cake needs. Just excellent cupcakes. They custom tailored my sons birthday through the reserved for celebrities. This extra service made him feel the freshest on his special day. Really rocking the bday scene. Thanks again for the cool catering!! [Review] I love their cupcakes! 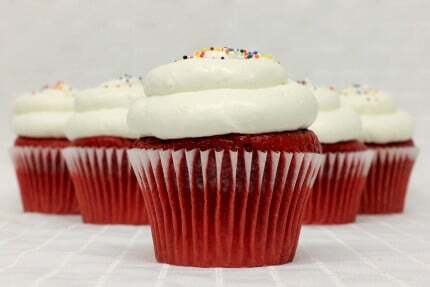 The red velvet is the best! [Review] I can’t complain about this place, the service is very good! I have tasted a few of their cupcakes, ok more than a few. 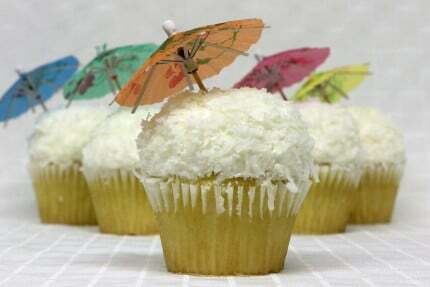 My favorite is the piña colada I also like the Elvis cupcake. I really can’t complain about this place. The service is very good as well. [Review] They’re always ready with a smile and a delicious goodie! Never too crowded, always ready with a smile and a delicious goodie! I bought a custom made cake for my baby shower. I sent them a picture of what I wanted the cake to look like and they called me back very quickly and let me know that the picture I sent shows a cake made of fondant and that they don’t use fondant because they want their customers to actually eat the cake. I understood and asked them to make whatever judgment they felt they needed to. Boy did my guests LOVE the cake!! I got so many compliments about how great the cake looked and how it tasted. Even people who normally didn’t eat cake kept wanting seconds. It had a light, airy taste. It was soft and fluffy and didn’t have an overwhelming sugary taste. The cream was light too (normally I would avoid eating the cream, but theirs was so good! Not too overwhelming). You could eat seconds and thirds without feeling sick afterward. And the price was reasonable too! I am so glad I chose to use Patty’s for my custom cake. The customer service is great too! Great experience. [Review] The cupcake was moist, light, and delicious. We came here on a whim after eating next door and we were so glad we did. We ordered the Elvis cupcake based on the reviews here and we were not disappointed. The cupcake was moist and delicious. 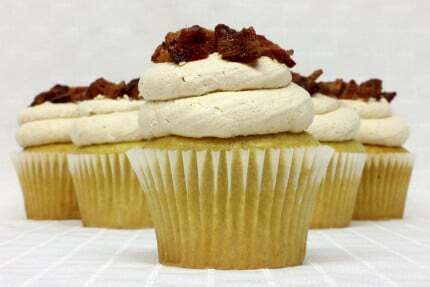 My husband doesn’t usually like cupcakes, especially ones that have something unique like candied bacon on top, but he liked this one because it wasn’t overwhelmingly sweet. 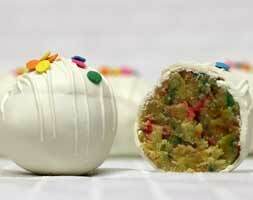 We’ve also had Sprinkles cupcakes many times before but always felt that the cake part is dense and tasteless. The cupcake wouldn’t be good without the frosting. However, the cake part of the Elvis was great on its own, even without the frosting. But it tastes much better with the frosting. The cake was light and fluffy, not dense at all. We will definitely be coming to try more cupcakes here! [Review] The cupcakes are not only beautiful but amazing too! I recently ordered some cupcakes online and mentioned in the comment section that the order was for my daughter who is at college in Fullerton and this is her first birthday away from home. Each cupcake had a happy birthday pick in it, and she is so thrilled! Not only are the cupcakes beautiful but (I hear) they are amazing, too! Thank you to Patty and her staff! I highly recommend this bakery! [Review] This place is the go-to spot for dessert! This place is definitely the go-to spot for dessert! Super cute, modern, clean, and the staff is really helpful. It was too hard to choose so I chose close to 1 of each.